2008 looks like the battle ground year for Gerritsen Avenue. The battle will be about the DOT’s second phase of its plans for Gerritsen avenue. They plan on putting Green Streets down the center of Gerritsen Avenue. 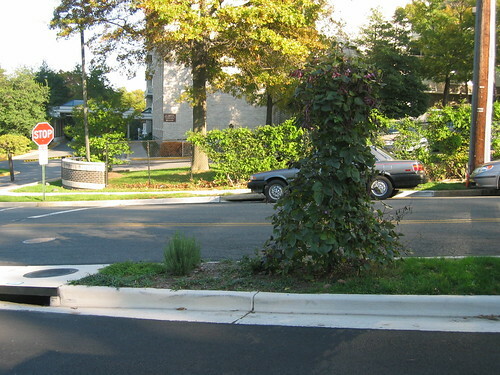 Green Streets are like a cement curb with parking on one side, think of Emmons Avenue without the diagonal parking. The first phase of the DOT plan we already see with the painted median ad the reduced 25 MPH speed limit. There are some ideas floating around. Like just putting these Green Streets only in front of the school and the by the Point. Any new median put in the Point would basically put an end to the illegal street racing. Ideas are nothing unless they have the support of local politicians and Marty Golden has expressed that its all of Gerritsen Avenue or nothing. they reduced the speed limit to 25 mph? What will happen when the people in cars double park to talk and everyone has to wait behind them to get anywhere? I see people park 3 deep and don’t care if there is a back up, the cars have to veer into oncoming traffic. GERRITSEN AVENUE NEEDS TRAFFIC LIGHTS, NOT GREEN STREETS! I wonder exactly how much thought the DOT put into this. If you spend any time on the ave at all its no secret that driving down Gerritsen ave is a horror . On the week ends school buses double and triple park while dropping off children to play in the park During the week delivery trucks double park to make delivery . getting past the bagel place , the pizza place and the bars can be very dangerous . The city buses don’t even pull all the way in to the bus stop . It may be ok up at the school of at the point but not between channel and Florence . This idea better not be for real, what a dangerous situation the city could be putting the people of Gerritsen beach in. I think the residents of Gerritsen Beach, better get ready to speak up against this stupidity! I understand the need to slow the cars racing up and down the avenue , which I totally agree with, but as others have said we need traffic lights not islands. The double and triple parking is a horror now, and will not end with these medians being put in. My biggest concern is for the fire trucks and other emergency vehicles being held up by a double parked cars and trucks making deliveries, how about in the unlikely case of an evacuation of the beach such as in a bad storm or some other emergency do you realize how these medians would hinder the flow of traffic out of the beach!… I for one will be boycotting this ridiculous idea, whose stupid idea is this anyway Gerritsen avenue is much too narrow for something like that. Very well said anonymous . When the sheep’s head bay community complained about parking on Knapp street just before fun time open , the city solved that problem by putting in parking meters . Will that be happening here also ?